19º Will we ever feel the sun again! 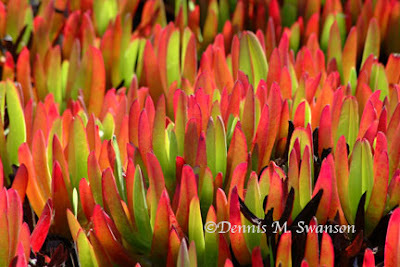 I found this brilliant red and green ice plant while walking around the Morro Bay estuary. It was a clear spring day and while I was looking for birds, found this normally very boring plant alive with color. Some times the beauty is right at our feet while were looking for it off in the distance.